So the Suicide Squad movie billed itself as starring Deadshot and Harley Quinn and Joker (misleading as that was) and a whole bunch of villains, the belief seemingly being that the characters people were interested in were all the bad guys of the DC Universe. 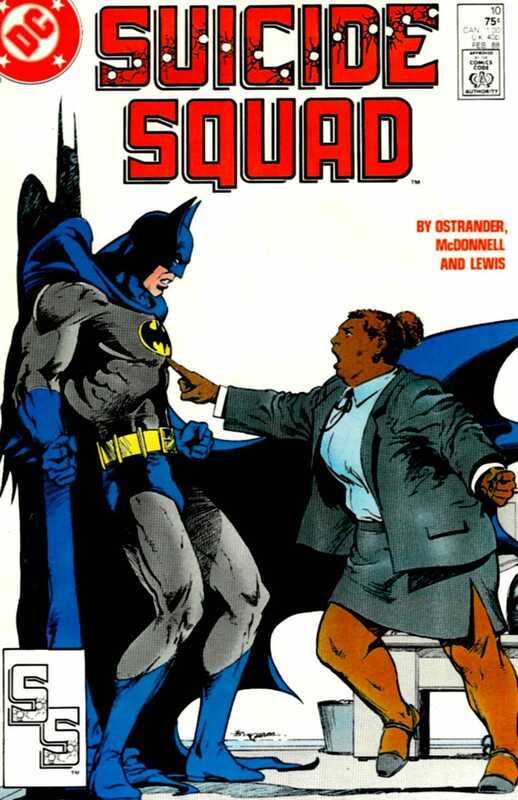 Maybe I’m weird, but I read the John Ostrander, Kim Yale run of the Suicide Squad a while back and walked away with Amanda Waller being my favorite character. She is such a fascinating, complex character and her tenuous relationship with morality was a highlight of the series for me, and seeing her do so much bad and so much good and where exactly she drew the line was always interesting to me. But that’s just the thing about morally ambiguous characters; they’re not just people who do bad things that you still root for, they’re actually, well, ambiguous. Bad and good. And a lot of DC’s recent adaptations of Waller have felt... just bad. So I wrote this article for Kulture Shocked about Amanda Waller and how she behaves when her character is at her best. I’m not gonna lie, I kind of hope we get another Suicide Squad movie, a better one, because Viola Davis was doing a good job as Amanda Waller in the about 5 minutes of screentime she had in the first movie. The writing she was given wasn’t quite keeping pace with her abilities as an actor, and it didn’t take full advantage of just how fascinating Amanda Waller as a character can be, so I want to see them try it again, just... do better this time.